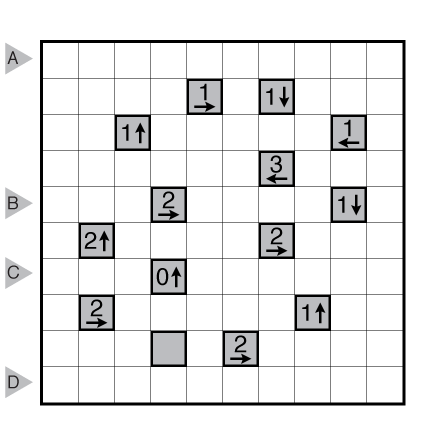 Author/Opus: This is the 116th puzzle from our contributing puzzlemaster Murat Can Tonta. 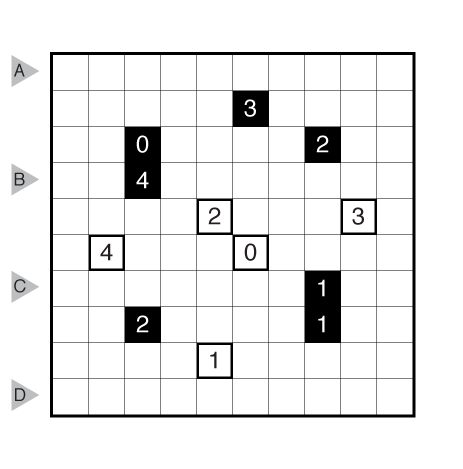 Author/Opus: This is the 115th puzzle from our contributing puzzlemaster Murat Can Tonta. Rules: Variation of Castle Wall. Clue cell colors have the usual meaning. 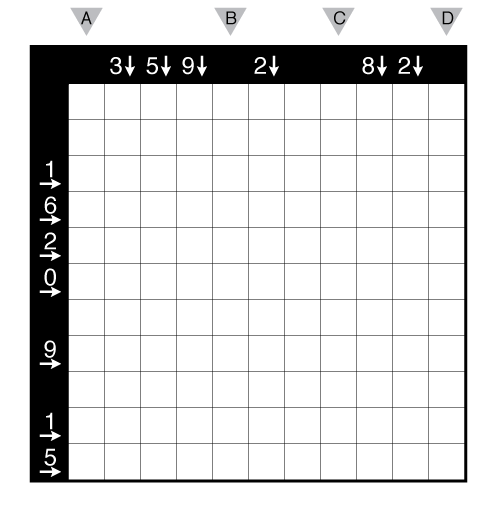 However, the numbers cannot be correct clues for any of the four directions (left, right, up, down) around the cell. 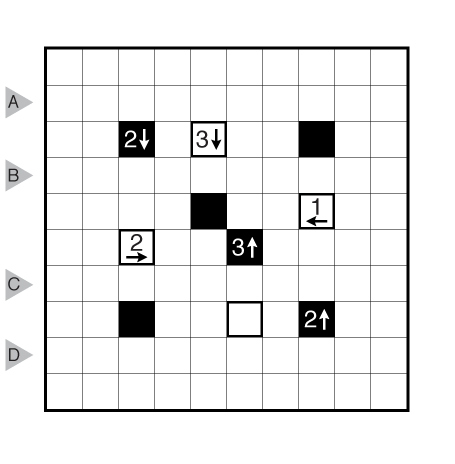 Author/Opus: This is the 1st puzzle from guest contributor Mustafa Koyuncu. 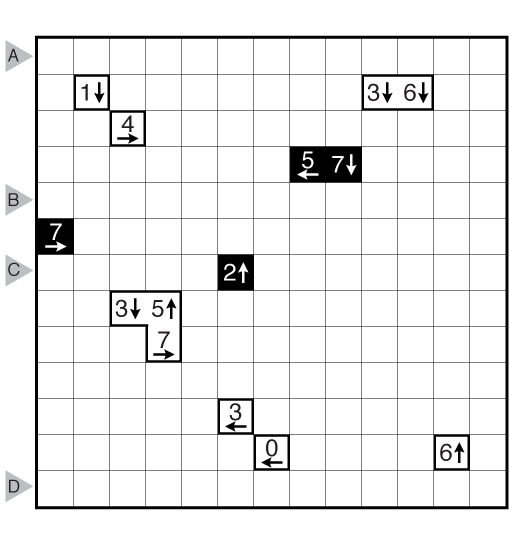 Author/Opus: This is the 232nd puzzle from our contributing puzzlemaster Serkan Yürekli. 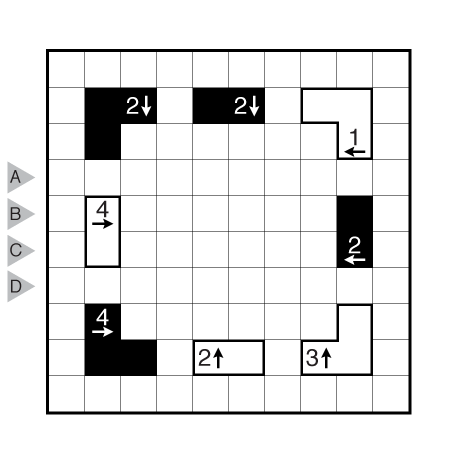 Rules: Standard Castle Wall rules, but none of the clue colors are given. 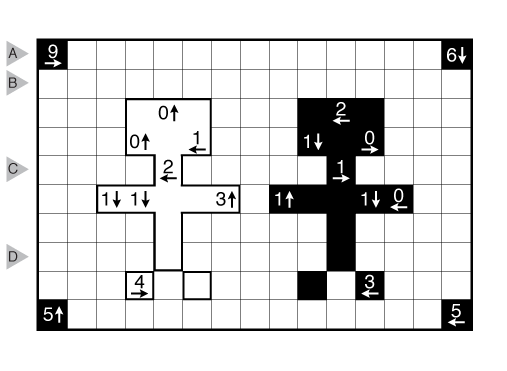 For each symmetric pair of clue cells, one cell is white and the other cell is black.